The teens at Nexum House are worse than prisoners, they are 'debtors,' the youth of England forced to pay for their family's crimes. Conditions are harsh. The hierarchy among the workers is rigidly enforced. And the guards perform terrible experiments on the weakest of the population. Few of the children survive, and none is foolish enough to fall in love. When Amelia arrives she sparks the fire of revolution. Daughter of a gambler and a scientist, the 16-year-old wants revenge for her parents' murder. But not just against the killers. Amelia wants to start a catalyst that will change the world. She is highly intelligent, utterly determined, and extremely angry. Set in a world of goggles, gears and clockwork this is coming-of-age story unlike any you have ever seen. From the imagination of D.S. 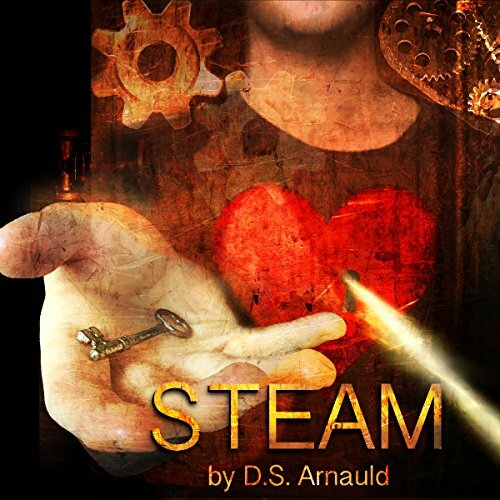 Arnauld comes an adventure sure to please fans of both YA and Steampunk. If you could sum up Steam in three words, what would they be? What was one of the most memorable moments of Steam? I was stopped in place when Amelia was send down to the Theater. The discussion about the rationale behind the workhouse was stunning - did people actually believe that the poor were deserving of shame?? There were a lot of moments like this that made me stop and think. What does Billie Fulford-Brown bring to the story that you wouldn’t experience if you just read the book? Ms. Fulord-Brown handles the different narrator voices very well. She makes each distinct and handles a variety of British accents smoothly. I think this narrator adds a lot of dimension and personality to each voice. I actually did listen to this book in one afternoon! Even though I'm an adult I enjoy YA novels because of the character development and fast moving plots. This story brings steampunk elements, which adds interesting texture to a Charles Dickens' workhouse story. I wanted to know what would happen next! I highly recommend this book. It is excellent!